Species: ???? ?? ??? ? ? Deep on an otherwise humdrum planet lies an expansive testing facility. Miles apart are complexes for living experiments. Espir is something of a runt of his type, but he's also one of the successful firsts. He has known no other like him, and many of the scientists that take care of him now are not the original spearheads of his species' project, so every day can be a bit of a... Learning curve. His original- and overall project- name given by the lab was 'ESP' for obvious reasons. 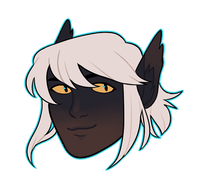 Appearances and overall situation aside, Espir can be perplexing in his almost-Human disposition. He's talkative and opinionated- almost considered brash, optimistic, and, most importantly, playful. He's not much different than a young man who has been sheltered from all of life's wrongs (despite being in such an example of wrongs himself). If one did not see him, but rather heard him in a conversation, he would be identified as a Human, informal and expressive. It's obvious he practically idolizes the humanoids he has come into contact with, but won't outright admit it. 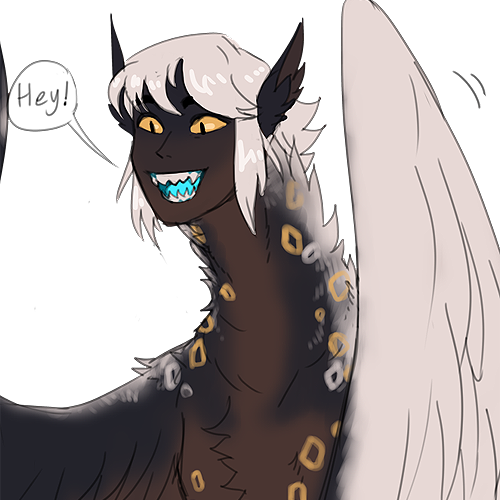 Under all of his bluster and teasing behavior he is still a Chimera who wants approval and happiness. He has troubles admitting to his own neediness and negative thoughts, focusing more on how he can understand others much easier than himself. 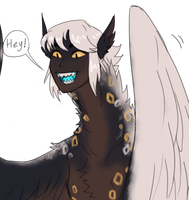 It is important to note that lapses in usual behavior are more than likely due to his genetic makeup: some things he attempts to control, such as impulsive attacks, or preening, being far too curious-- things that would be pointed out as very animalistic. He dislikes this part of himself, and wants to imitate his handlers the best he can, even if it is detrimental to his health as a Chimera. He is incredibly sweet when he feels loved. But, since this isn't a common occurrence, most just think him to be a big fuzzy scamp. Espir can read minds to the point of understanding a fragment of conscious. For the most part he can only sense feelings, soft and strong alike. It brings him no pain or confusion, and every individual's thoughts are differing. He finds his power intriguing rather than a burden. There is a lot about his existence that fights within each other, genetically. Omnivorous by choice-- carnivorous by default. Lifespan predicted for 80 years if peak health is continued. Especially frail to humanoid diseases-- often gets sick during flu seasons as well. It's stored in the back of his mouth and can only be utilized via biting and spitting if he feels cornered. Cannot be used on command, only when he feels threatened. Extremely proficient: his claws are for tearing his food up, and inside that cute tiny mouth are large, sharp chompers. Really-- don't piss him off. It is quite possible that his appearance isn't exactly his fully evolved form. There are reports that insist he can improve by leaps and bounds, but his overall cheery disposition holds him back. Since that avenue seems fully impossible to tear from him, Esp's handlers can't really trigger his evolving point. He is aware that he can overpower humanoids without issue, and yet he provokes them and gets provoked enough to tease them with bites and scratches. 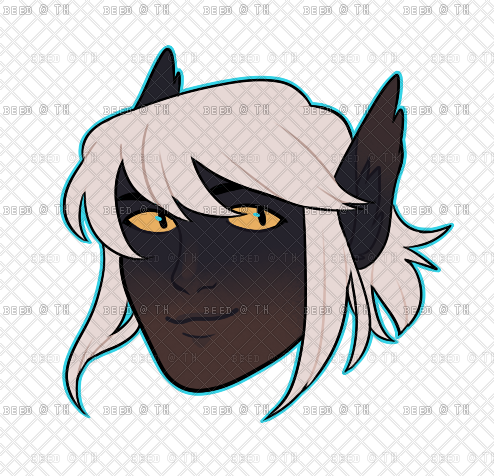 One is always welcome to ask him to stop and he'll obey, but... You mess with the bull, you get the horns is a good saying to consider in Espir's presence. He does try to ease off on the intensity of his actions, though. The number in his designation indicates his place in the logs as a living example of his kind. ...The eleven preceding him did not live nearly as long as he has (28 years). No two of his kind have looked similar at all.